A canceled track day still can’t hamper the fun to be had with the Corvette Z06. 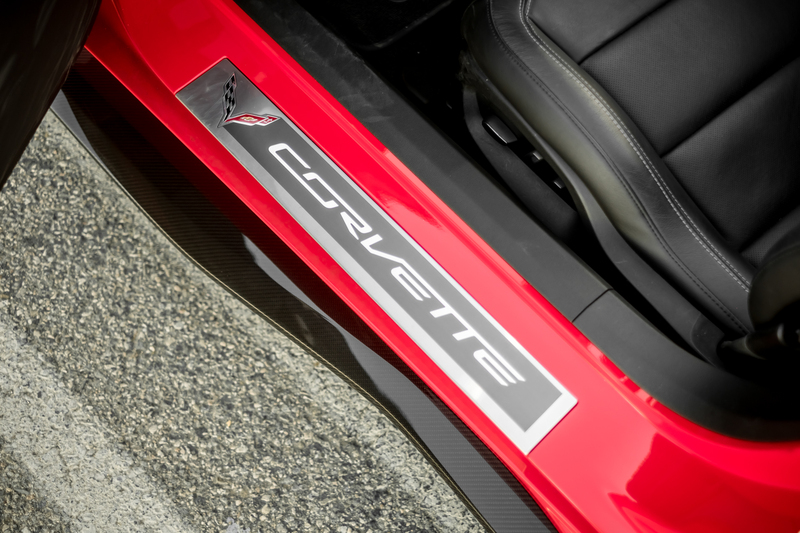 The call came in at 9:04 a.m. from the delivery guys dropping off the Chevy Corvette Z06. They were outside. I could feel my stomach churn. I was about to take possession of the most powerful car I'd ever received from an auto manufacturer. On the outside, I was completely calm and collected...but inside, I felt a slew of contradictory emotions—fear, excitement, disbelief, awe, gratitude, joy—bouncing around my gut. So I walked out of my house...to see a Torch Red Corvette Z06 parked across the street. It looked angry as hell. It reminded me of the time the Space Shuttle Endeavor was towed through the streets of Los Angeles on its way to the California Science Center. The power of the Z06 reminds me of watching the space shuttle Endeavour launch as a kid. 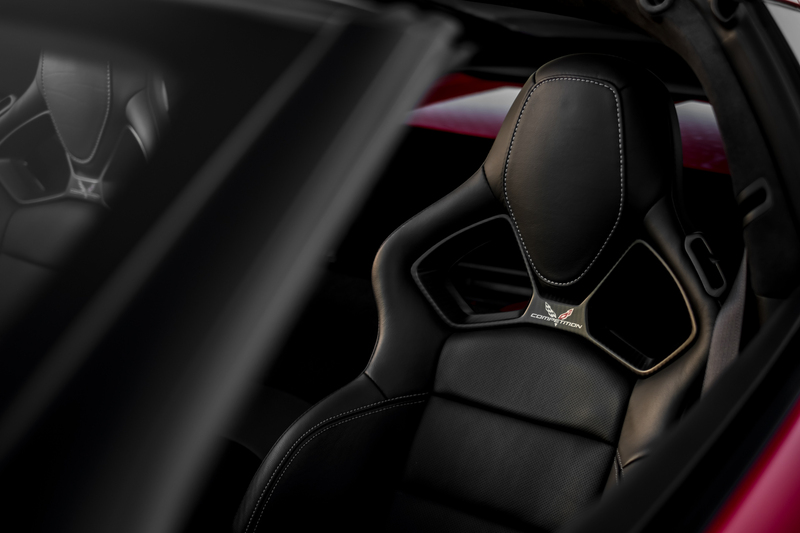 The power and magnificence of a spacecraft is embodied in the Corvette. After grabbing the keys from the delivery guys, I stood paralyzed by the Z06’s visual blare, transfixed on this piece of American performance. I finished my coffee and placed the mug down on the curb. I didn’t care if it was there when I got back. Even at a standstill, the Z06 looks fast as hell. 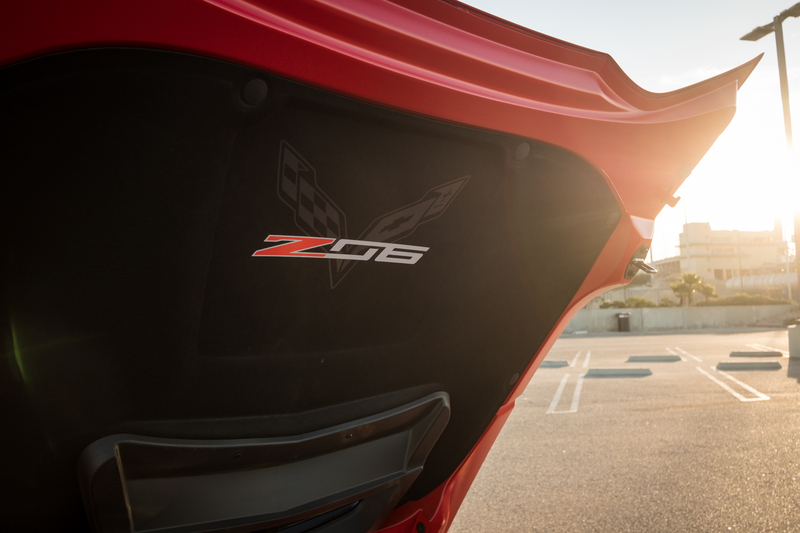 Angular, aggressive, and aerodynamic, it brings to mind Kenny Loggins's "Danger Zone"
Hopping into a Z06 doesn't immerse you in a posh interior. It’s no longer as bad as previous Corvette generations, but it’s fairly unremarkable. Until I settled into the competition-style racing seats, that is, when they reminded me their snug embrace was there to keep me in that exact spot—1.0g-plus of cornering grip be damned. I looked around for an additional second and realized all the screens point toward the driver. 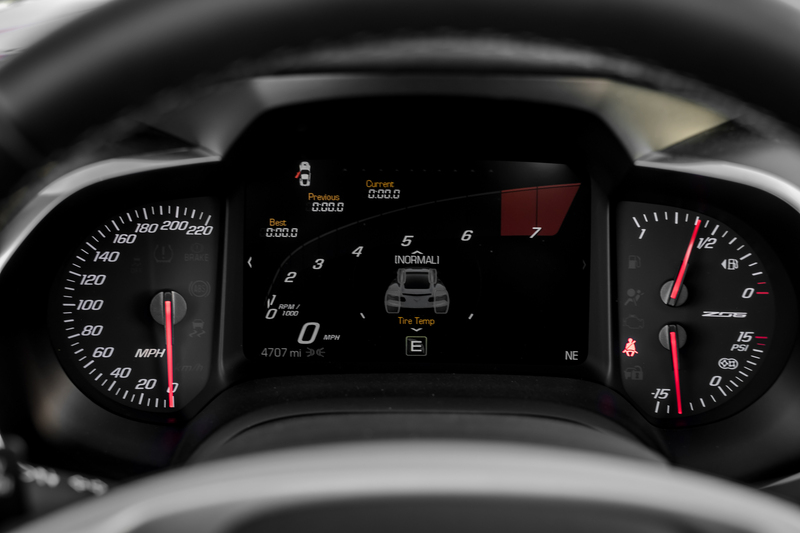 The Z06 is set up like a fighter jet, all the way down to its heads-up display. 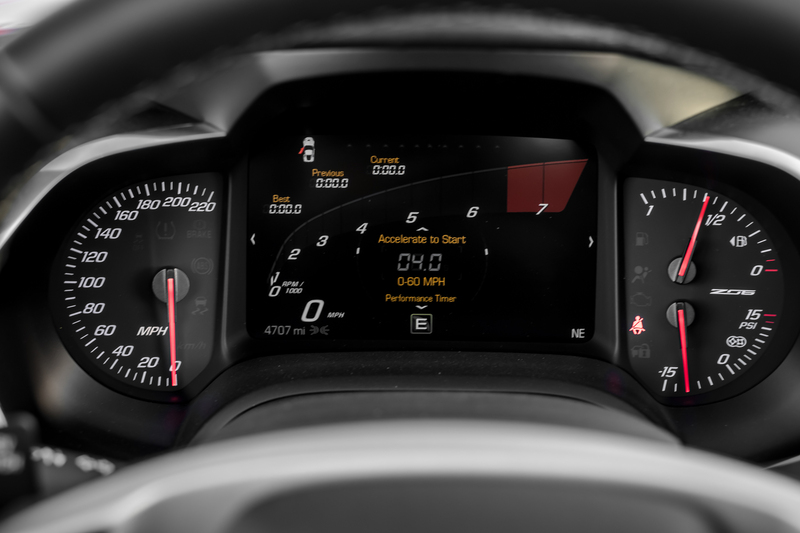 Every readout, every gauge is vibrant and easily read at a glance. 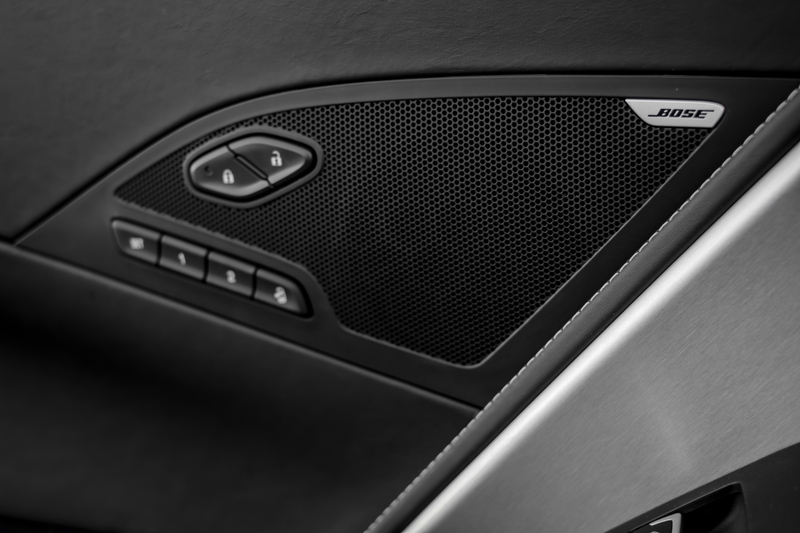 Nothing in this cabin is designed to slow you down. 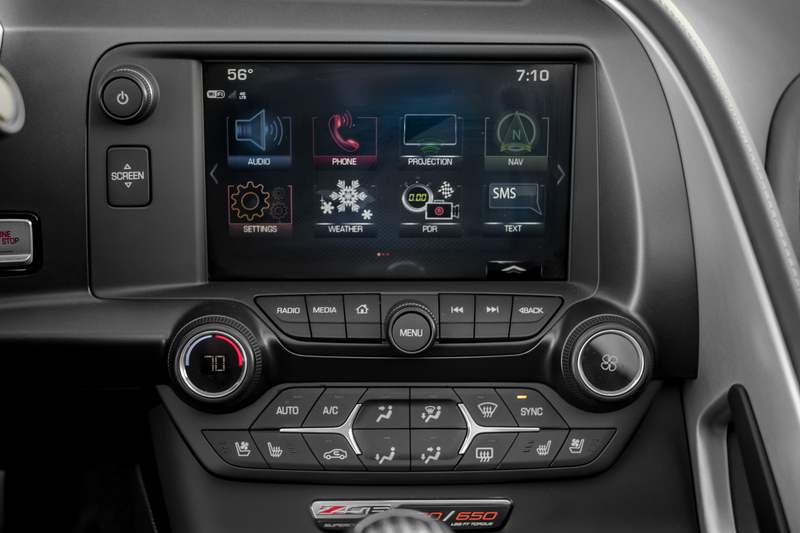 Just under the infotainment system lies a badge reading “Z06 Supercharged—650 horsepower / 650 lbs-ft torque.” It’s an ever-present reminder that this car is not something to f**k around with. I depressed the clutch and hit the engine start button, and the Z06 roared to life like a lion awakening from a slumber, hungry and needing to eat. 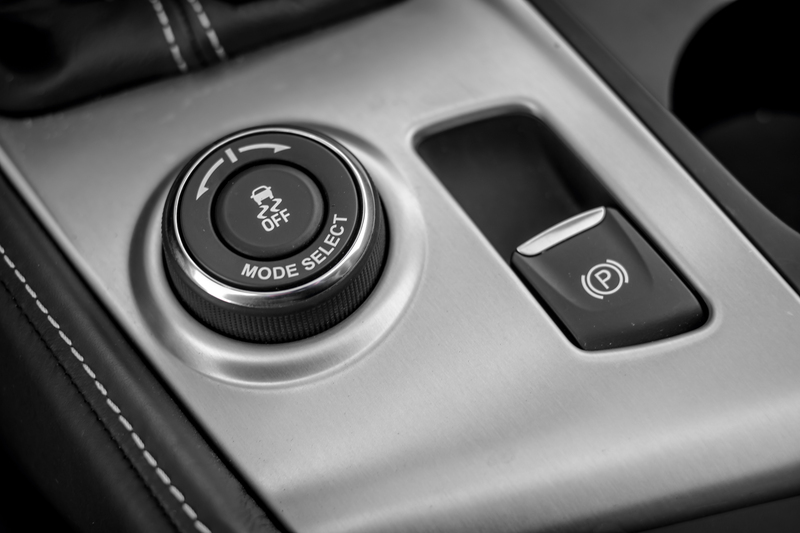 A knob on the center console allows the driver to select one of five drive modes and instantly turn off the traction control; with the push of a button, all the power from the 6.2-liter supercharged V-8 will go directly to the wheels. I’m unwilling to tempt fate, so I kept the traction control on. I set the drive mode selector to “Sport,” shoved the transmission into first, and got the Z06 rolling. 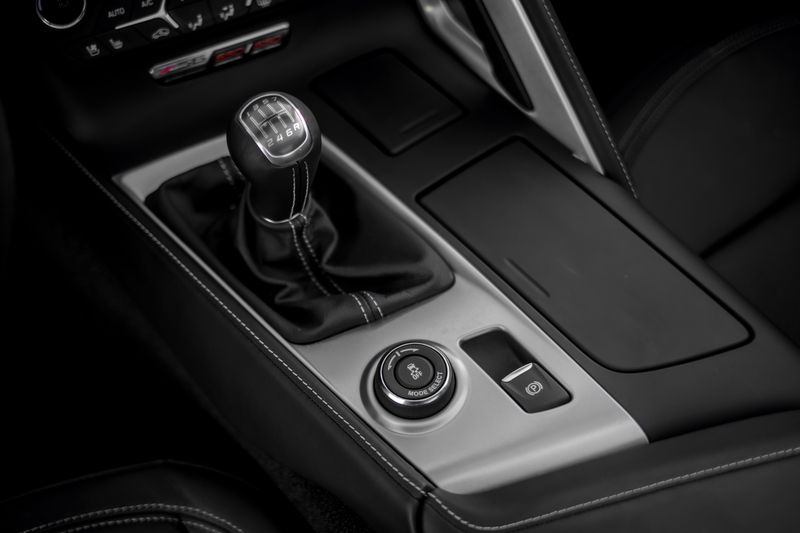 Shifting the Z06 into second gear and hammering the throttle causes the back to steps out almost immediately as the exhaust ports bang, crackle, and pop, until the traction control intervenes to allow the cold Michelin Pilot Sport Cup 2 tires to regain grip. from the exhaust ports. This must be what Daenerys Targaryen feels riding Drogon into battle. I can feel the moisture on my palms; the hair on my forearms is standing at attention. I've piloted motorcycles around tracks at triple-digit speeds and dragged parts of my body across the asphalt in corners, but being in the Z06 feels foreign, terrifying, and exciting, all at the same time. 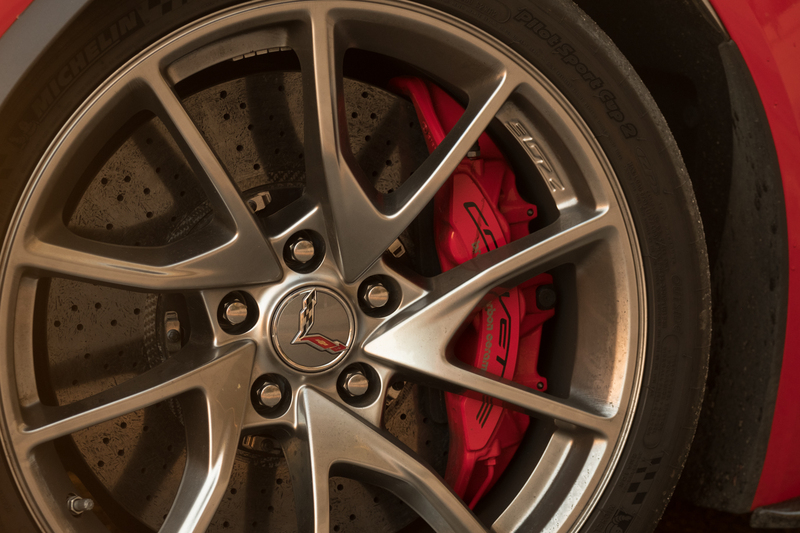 Over the course of two weeks with the Z06, I dropped close to $180 on fuel, yet managed to get the Pilot Sport Cup 2 tires warmed up only a handful of times to really enjoy the insane grip they offered…but when they did, the grip was sensational. The Z06 basically rides on rails. Looking for a place I reach out to my good friend and fellow automotive writer Jonathon Klein, as he had open-track access to the Thermal Club for a piece he was writing. Unfortunately, after driving more than halfway to the track, I’m notified of a scheduling snafu; the track was off-limits after all. So with track day ruled out, I did the next craziest thing: I aimed to drive a really fast car slow. I embraced the stereotype that all Corvette owners are aged 65 years or older, carry an AARP membership, and drive at (or below) the speed limit. Hey, when you have 650 horsepower and 650 lb-ft of torque on tap, there's no reason to flaunt your speed. Turns out this was occasionally difficult to achieve. At every turn, I locked gauntlets with my sense of discipline and sheer desire to feel the Z06’s power. But that was a battle worth contending because, in that time of driving the Z06 slow, I learned how to drive it fast. By mastering the fundamentals, I became more and more connected to the car and confident in its abilities. In the spirit of driving the Z06 like an old dude, I wanted to see what kind of fuel efficiency I could pull from the Z06. What I found out that was the Z06 is an awesome everyday supercar. 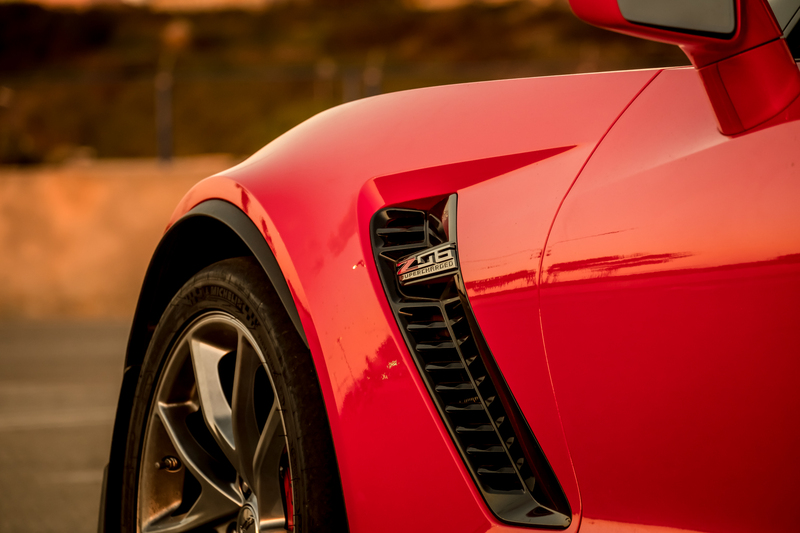 On the highway, speed locked in at 55 mph and cruising in seventh gear, the Z06 attained 28.6 mpg over the course of 100 miles. Around the city in regular commuting (and the occasional race from one red light to the next), the Z06 achieved an average of 12 mpg; straight-up balls-out, the Z06 tallied a mere 7 mpg. 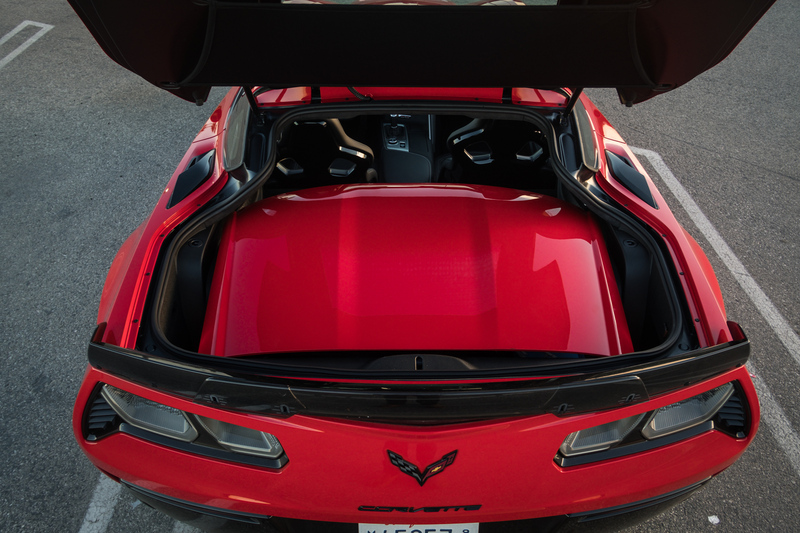 For all its inherent hooliganism and its fighter-pilot-focused cockpit, the Z06 is remarkably practical for errands, hauling gear, and even taking a nap. At one point, I kicked off my shoes and lay my giant frame down in the back of the Z06, with my feet by the front seats. Tailgaters, eat your heart out. When it came time to part ways with the Z06, I must admit, I was heartbroken. Truth is, I became accustomed to how practical and enjoyable it was as a daily driver. This Corvette is one hell of a car—and more importantly, you can use it every day and not be inconvenienced by things like running errands, taking your kid to soccer practice, or picking up relatives and their luggage from the airport. If any of your passengers step out of line, you can be sure to terrify them by pulling on the lion’s tail. Just make sure you don’t get bitten. 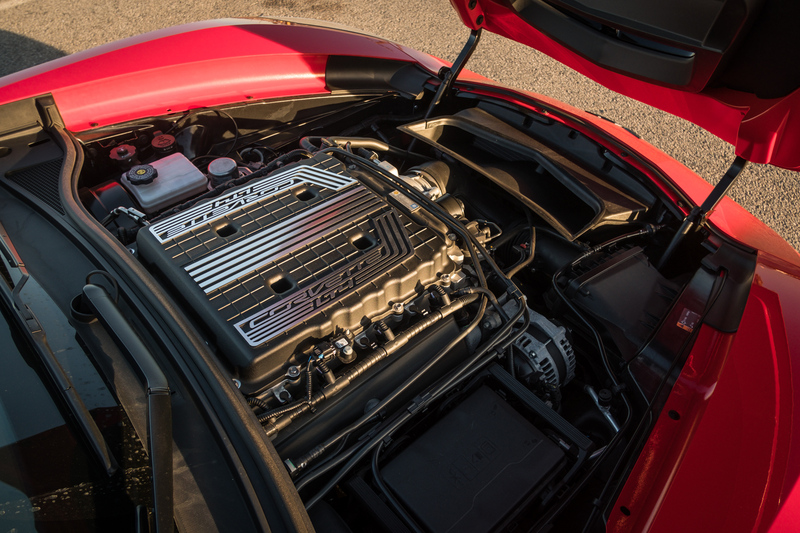 Even saddled with a slushbox and soft roof, the Grand Sport is hard to top (pun intended) for sheer entertainment value. One is half the price of the other—and just as quick around a track. The team plans on beating its own record next week. The racing magnate bid $925,000 for the first production Corvette ZR1 at a Barrett-Jackson Auction in January.